Just 7 Sleeps to go. Well, the quilt racks have been collected from Capital Quilters, who look after us every year, thank you. The donation boxes from Te Omanga are here too and also lots of lovely quilts, what a great variety we have, but if you still want to enter a quilt, download the registration form email, fax or phone Sawmillers and we will get it registered for you and in the catalogue. The volunteers have done a great job and next weekend they will all be here during the day to help you, please go and say hello to them, they will have name tags and most will be wearing aprons. I shall do one more posting before the big day. Time is marching on, where do the days go, so if you haven’t registered your quilts yet get the forms to us as soon as you are able, we have had some emailed through via scanning and also faxed through on 04 528 3470, this means your entry will go into the catalogue which is important.You can get the quilts up to Sawmillers no later than 4.30pm Friday 4th February we have extended the date as we all know that quilters always leave the binding to the last minute! 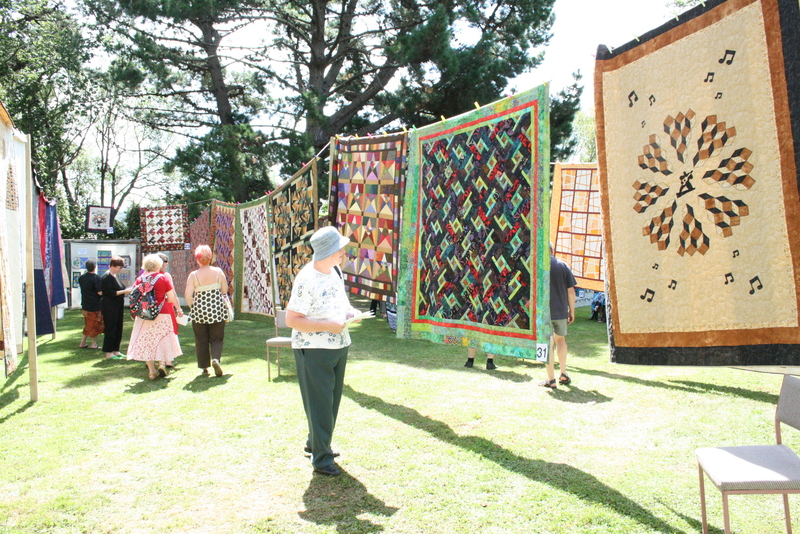 We want to donate as much as we can to Te Omanga so make sure all your family and friends know about the Festival, we have lots of exciting quilts on display amongst the trees as well as as an extra quilting surprise. We are all hoping that the chilly weather we are currently experiencing will not occur on Sunday 6th February, we want it nice, fine, sunny and warm so everyone can enjoy this great day. The volunteer ladies are all organised and there will be a group sitting and working on their projects as well as being available to answer any questions, the bouncy castle is ordered so the children will have somewhere to use up that excess energy, don’t forget Kevin has some lovely chickens and doves to look at and of course you can also get your Devonshire Tea too. Continue to register your quilts and challenges so we can get them into the catalogue and don’t forget just because you think it isn’t good enough, others will think it wonderful, so share it with us all. We hope you have all had a great holiday, it seems to bit of a dream now doesn’t it? 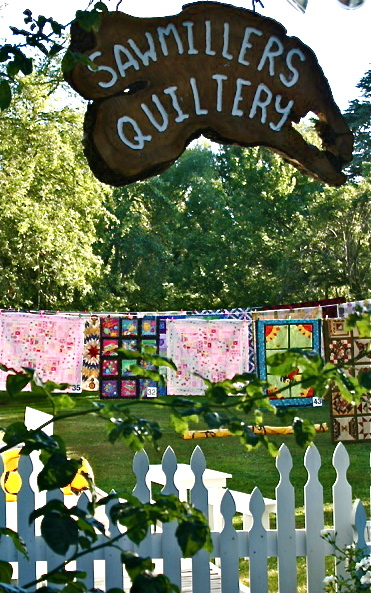 Well the time is now marching on towards the main event in the Stonestead calendar, The 3rd Annual Stonestead Outdoor Quilt Festival, this is being held on Sunday 6th February 2011 10.00am – 5.00pm. We have already received some entries so don’t delay and get your entries registered, you don’t have to bring them in yet, so there is still time to finish the quilting and put the binding on, just let us have the registration forms which you can download from this site, as a reminder we have changed the criteria for entries, we wanted to ensure that all levels had an opportunity to display their quilts, so this year there is only one category and that is Viewers Choice, of which there will be 1st, 2nd and 3rd places all with prizes, certificates and ribbons too. So don’t be modest, let us have your quilts, we know that we are very critical of our own work but there are budding piecers and quilters who use this festival to see what can be achieved and give them encouragement and confidence to create more projects. It is hoped we shall have Wellington Sewing Services with us on the day, as well as a scissor sharpener. Devonshire Teas will be available so you can sit and relax and just soak up the wonderful atmosphere and make new friends too. If you want more information you can always contact Sawmillers Quiltery Tel: 04 526 2517.